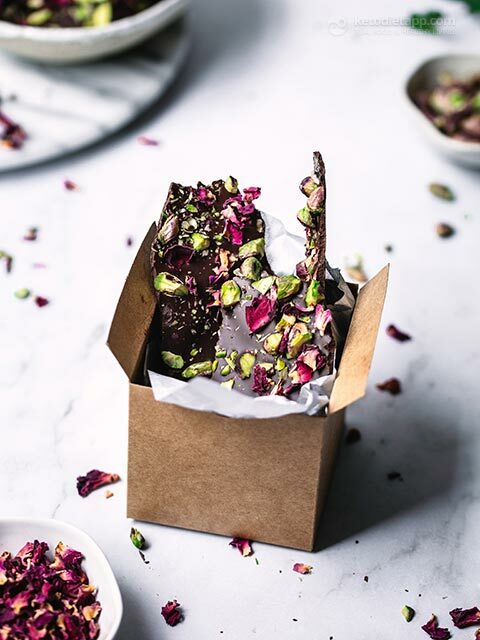 Nothing says “I Love You” more than chocolate and roses, so we’ve combined the two to make a really simple but impressive treat for your loved ones. This is the perfect treat for Valentine&apos;s Day! 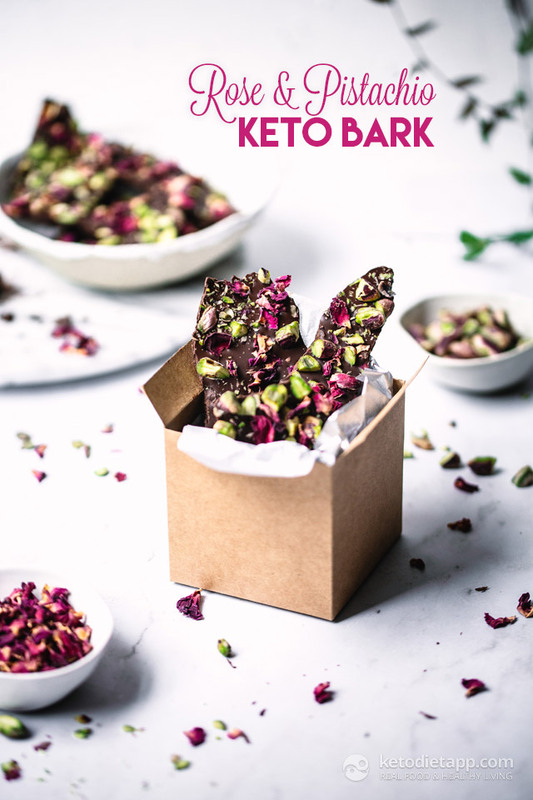 This low-carb edible bark looks far prettier and more impressive than what it would imply — other than melting the dark chocolate and placing the bark in the fridge to set, there’s not much to it. 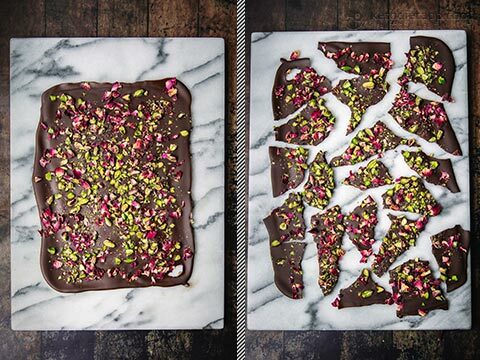 I’ve used pistachios as well for texture and colour, but any nuts would work well here. 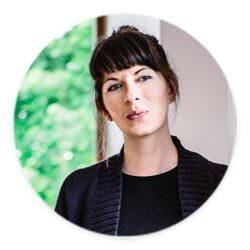 For an ultra low-carb fat bomb, use macadamia nuts instead of pistachios. 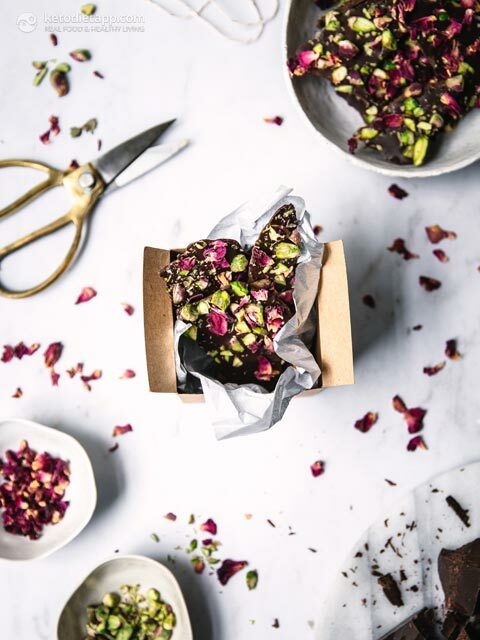 I would definitely recommend sticking with the dried rose petals — or other edible flowers — as they are what really makes this bark look extra special. Weigh and measure out all ingredients. 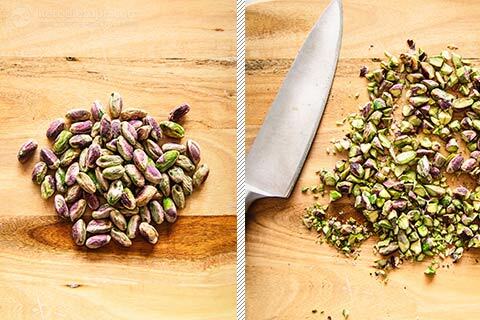 Roughly chop the pistachios — you want a mix of slightly bigger pieces as well as much smaller ones. I like to crush mine a little so that the smaller pieces resemble a powder — this is purely an aesthetic thing though, you don’t need to go this extra step if you don’t want to. 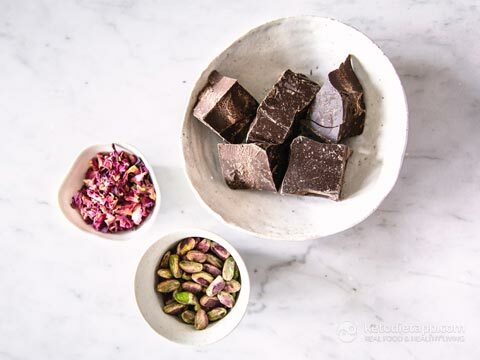 Melt the chocolate either in a saucepan over low heat stirring constantly, or in the microwave. 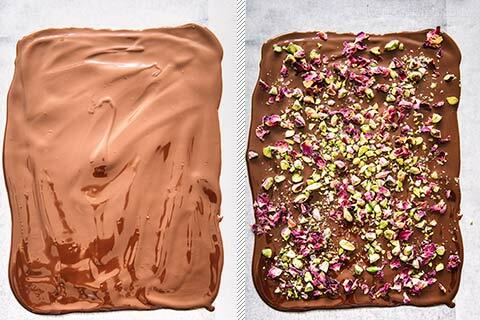 Line a baking tray with baking paper, and pour the chocolate on. 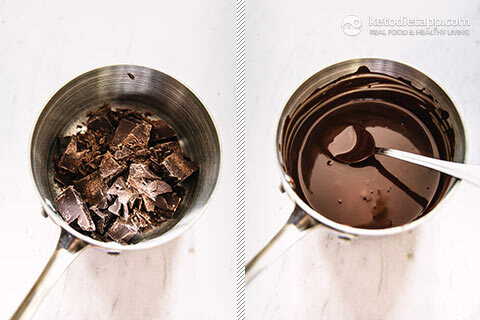 Use a knife or spatula to spread out the chocolate to roughly 2-3 mm/ 0.1" thickness. 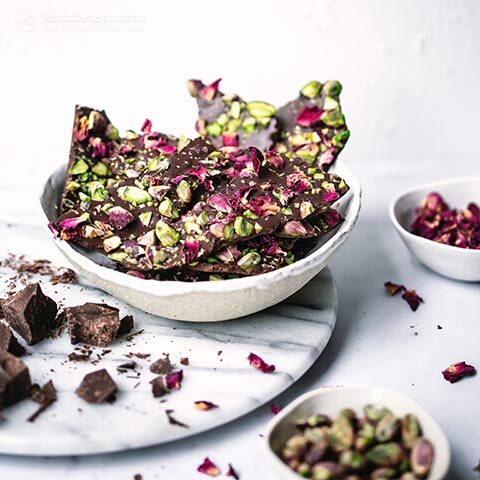 Sprinkle over the pistachios and rose petals. Place the tray in the freezer for around half an hour, then remove and snap the bark to make shards or other desired shapes. 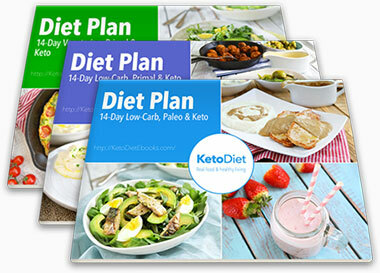 Enjoy immediately or store in a sealed container in the fridge for up to two weeks. This bark is the perfect edible gift option! Just wrap it up or place in a decorative box. For longer storage, freeze for up to three months.